On June 15, 2012 President Obama announced that his administration would stop deportation of certain classes of illegal aliens. The question arises: does he have the constitutional authority to execute such a policy? Agents of Immigration and Customs Enforcement (ICE) and theState of Mississippi believe he does not. 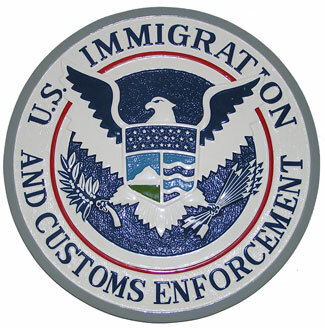 On August 23, 2012 ten Immigration Customs and Enforcement (ICE) agents and the State of Mississippi sued the administration contending that the new policy is illegal and unconstitutional. Congress has passed laws with specific language as to the conduct of agents. The United States Code, found at 8 U.S.C. § 1225 commands that ICE agent shall conduct an examination of aliens not legally in the United States and if they are not entitled to admission, “the alien shall be detained” for removal proceedings. The Administration policy orders agents to disobey that law. The lawsuit contends the president has no authority to order agents to disobey the law. The Constitution’s Article I grants the power to pass legislation exclusively to Congress. Laws with an effect (known in various proposed laws at the “Dream Act”) similar to the president’s orders have been considered and rejected by Congress two dozen times. It is the province of the Congress to enact law and the president’s duty to enforce law passed by Congress. Article II, which defines presidential power, commands that the president “shall take Care that the Laws be faithfully executed”. Ordering ICE agents to not enforce the detention statute violates the Constitution’s directive. Mississippi expends significant resources for services to aliens who are not legally in the United States. Mississippi will be forced to shoulder additional expenses for persons who will remain in Mississippi as a result of the president’s refusal to enforce the law as written. Mississippi expenses include: costs associated with educating illegal aliens in the State’s K-12 school system; costs related to uncompensated healthcare provided by state agencies, hospitals, and clinics; law enforcement costs associated with arresting, prosecuting, and incarcerating illegal aliens in the State’s criminal justice system; and lost tax revenues and economic losses related to illegal aliens who work “off the books” and thereby avoid paying state taxes and/or who send “remittances” to relatives in foreign countries, diverting dollars that otherwise would remain in the State’s economy and generate additional state tax revenues. ICE Agents swear an oath to support and defend the Constitution and the laws of the United States. In compliance with United States law ICE Agent James D. Doebler arrested an alien unlawfully in the United States and issued the alien a Notice to Appear (NTA). Agent Doebler’s supervisors had given general directions that he should not issue NTAs to certain illegal aliens. Agent Doebler is facing a three-day suspension for arresting and processing the alien for a hearing as the law requires him to do. Agent Doebler is being threatened with discipline for being true to his oath of office, and not obeying an unlawful order given by his superiors pursuant to the president’s policy. The Obama Administration is relying upon a legal concept known as “Prosecutorial Discretion” to defend its actions. Prosecutorial Discretion allows executives some choices in law enforcement. These choices are related to decisions about whom to pursue for crimes based upon enforcement resources. Police officers do this regularly, since they cannot stop every speeder. The Administration asserts prosecutorial discretion is the legal basis for its policy. Executive agencies are typically given latitude in this regard, but this situation differs from the typical use of Prosecutorial Discretion. Discretion is typically employed for specific individual circumstances, and does not entail a large defined class of more than a million people. The law which the Obama administration is ordering the agents to ignore does not allow for discretion. It has a command: “the alien SHALL be detained” for a removal proceeding. The issues presented to the court in this matter are novel. It is unusual for a federal employee to assert the illegality of an order from a superior. The court may avoid deciding the issues of legality of Administration action by saying the Agents and Mississippi do not have standing to pursue the case. If so, it will be giving more authority to the president than the Constitution does. While the president believes the policy is the “right thing to do”, following constitutional procedures is also the right thing to do. An element of the ICE agents’ case is analogous to the 37 religious liberty lawsuits pending against the Administration for threatening people of faith with moral objections to paying for insurance coverage that includes certain contraceptive services with fines and penalties. The ICE agent is being threatened for following the moral obligation imposed by his oath of office to follow the law. In both circumstances the policy decisions of the Administration are being aggressively pursued with little regard to constitutional concerns. This is consistent with the Administration’s rule by mandate, waiver and executive order. This lawsuit is ongoing, with the most recent court action in October, but no definitive rulings have taken place. As of this writing, the United States have yet to file an answer to the complaint of the ICE agents and the state of Mississippi. Further information on the suit including support given the agents by members of Congress is available from NumbersUSA. “Standing” is the legal ability to pursue a lawsuit based upon a legally protectable interest that an individual has that entitles him to bring the controversy before the court. Most standing issues arise over the enforcement of an allegedly unconstitutional statute, ordinance, or policy. One may challenge a law or policy on constitutional grounds if he can show that enforcement of the law or implementation of the policy infringes on an individual constitutional right. The Free Dictionary.